Throughout the last school year, Urban Initiatives has grown by expanding our programs and solidifying our continuum of programming that supports our students from elementary school, to middle school and high school, and beyond. 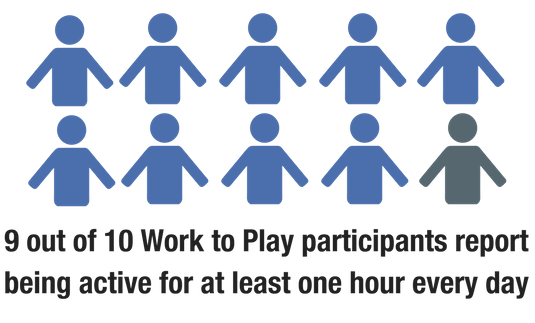 Our evaluation team has analyzed the data and results from Work to Play and Take the Lead are in! We are proud to share our 2016-2017 evaluation outcomes. 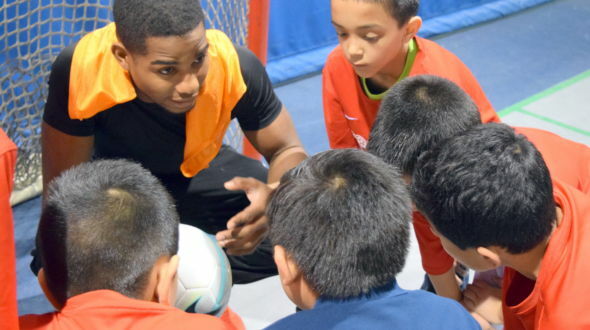 Our Work to Play program supports our elementary school-age students in key areas of health and physical fitness, academic performance, and social-emotional learning. After revitalizing our health and wellness curriculum this year we are excited to announce that of participants who were overweight or obese at the beginning of the program year, 70% decreased their BMI relative to other children their age (a measure of physical health) after one year of program participation. This is a 21% improvement from our 2015-2016 results! In the areas of academic performance and social-emotional learning our Work to Play program participants had great improvements. Participants and their teachers both reported significant improvements in task persistence by the end of the program year. Specifically, the number of participants who reported giving up on tasks before finishing them, not trying things that looked too hard, and giving up easily, decreased by 35% by the end of the year. Likewise, the number of teachers reporting strong task persistence in their Work to Play students increased by 40% by the end of the year. Not only were students more willing to try harder in the classroom, but also our students were more likely to come to school than their peers. 81% of participants had a school attendance rate of 95% or higher (a predictor of success in high school), compared to just 69% of their classmates. Our participants in Take the Lead, which supports our middle school students, similarly achieved great strides in their academics, proving themselves to be leaders both in the classroom and on the soccer field. 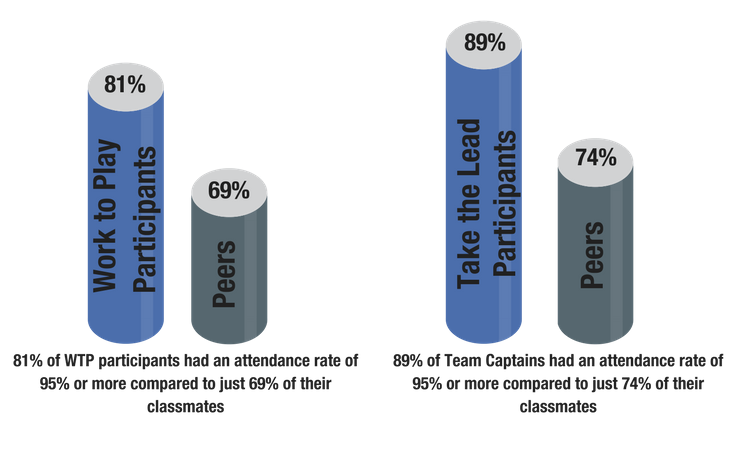 On average, Take the Lead Team Captains had a school attendance rate of 98%, attending nearly a week more of school than their peers, and they were much more likely to earn A’s and B’s in reading and math than their classmates. Finally, 62% of Team Captains scored at or above the national average on standardized mathematics and reading tests, compared to just 52% of their classmates in math and 56% of their classmates in reading. UI is so proud of our Team Captains’ effort and success in the classroom this year. Our Team Captains also found success in leadership development. 87% of Team Captains reported improving their leadership skills by modeling good behavior for their younger teammates and engaging in goal setting. 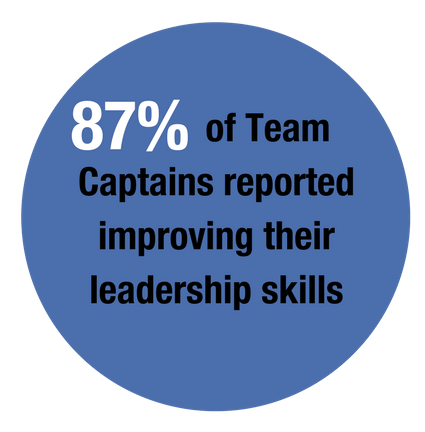 Our first year Team Captains saw considerable improvement in leadership skills with 92% of them reporting improvement over the course of the year. UI is thrilled to see our participants making strides in their academics, physical fitness, and social-emotional learning, and these results have us excited to start another school year. Thanks so much to everyone who supports UI and makes these outcomes possible!